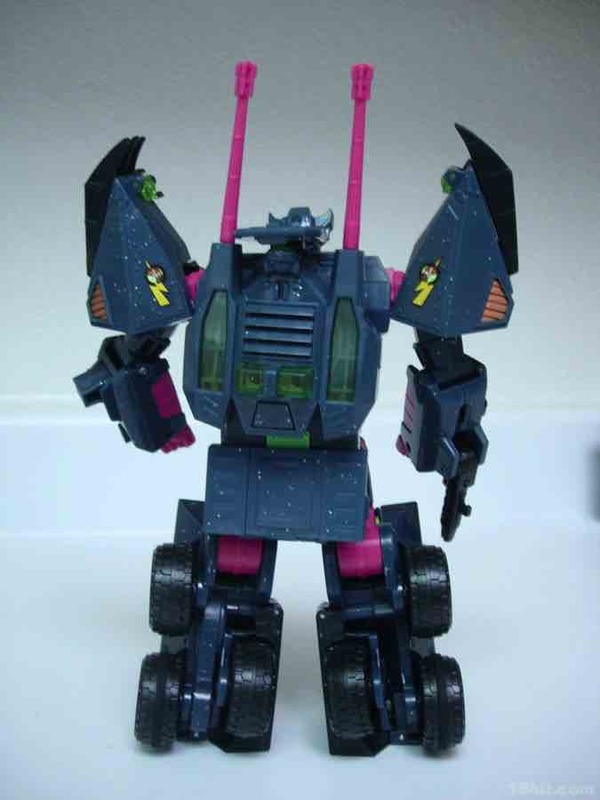 Another Generation 2 (G2) toy better known for being sold outside the USA, Clench (or Colossus in some territories) may be the most spectacularly 1990s toy in this entire collection. 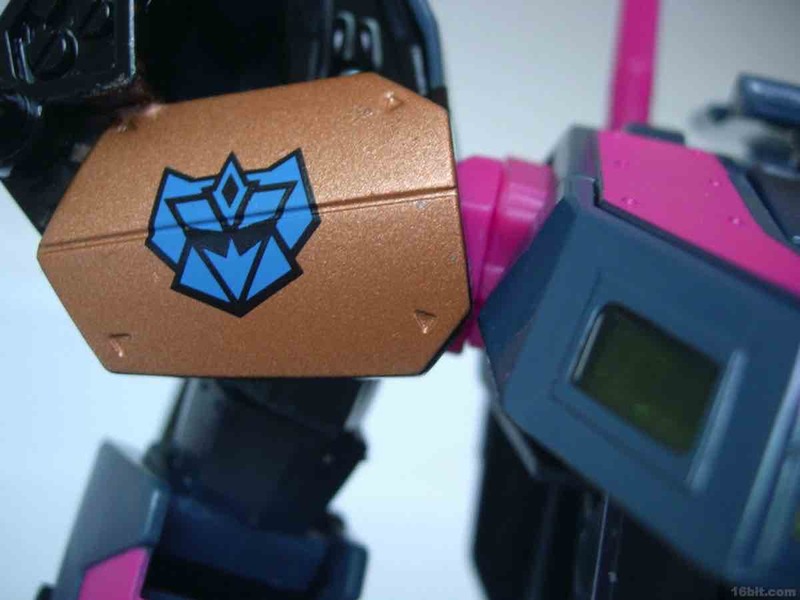 While based on the 2008 Onslaught body, Hasbro and Fun Publications combined forces and a lot of paint to bring you this amazing tribute to a time when it was more or less still acceptable to make a boy's toy with glitter and sparkles. 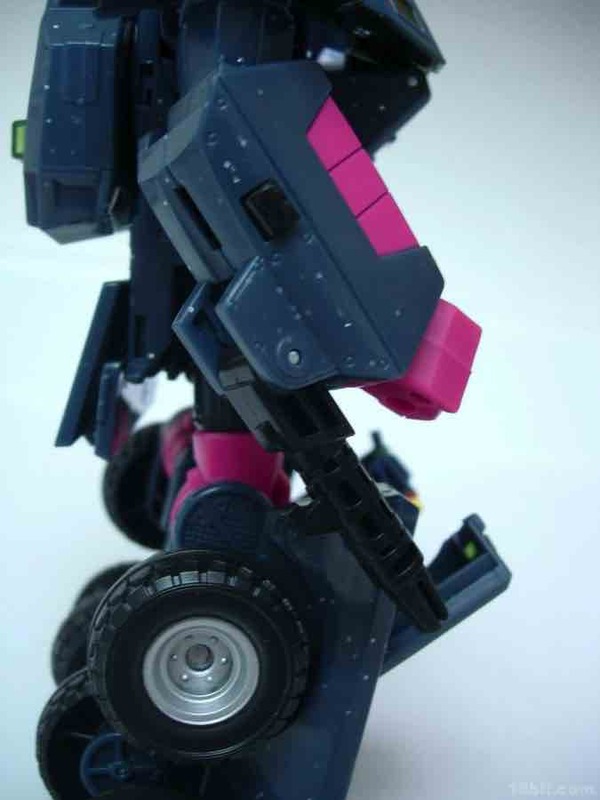 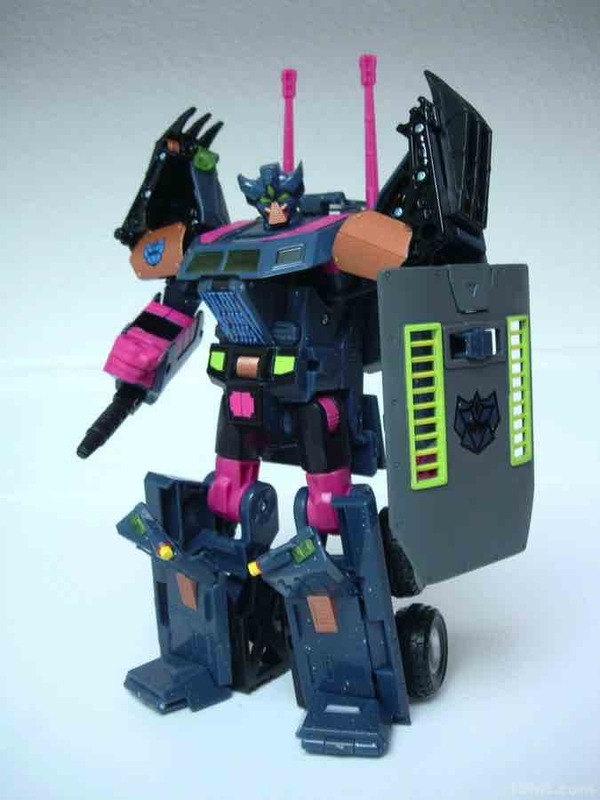 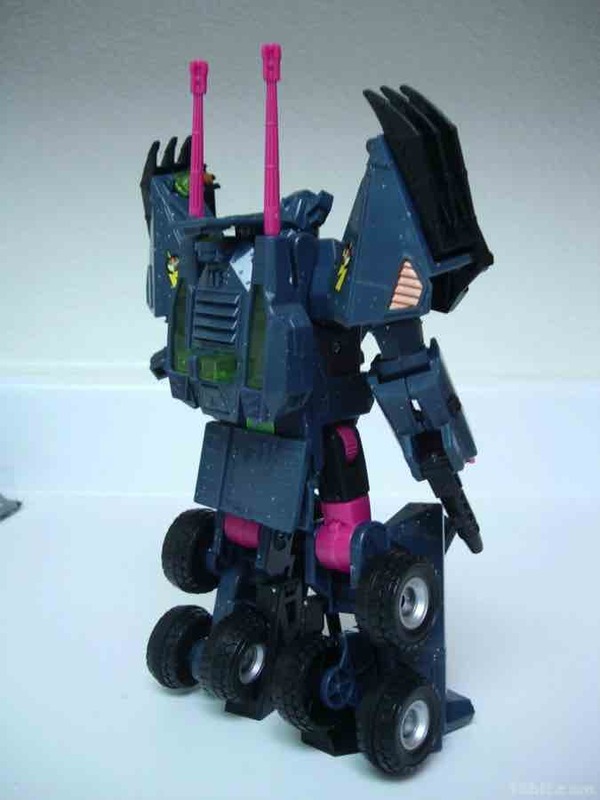 Clench has pink, his dark green is mixed in with sparkles, and there's really no easy way to reconcile how the toughest, meanest toy in the set has been painted in such a way where it doesn't look like a traditional Decepticon warrior. 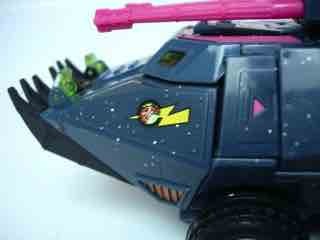 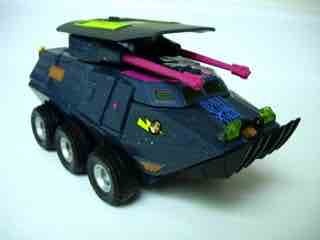 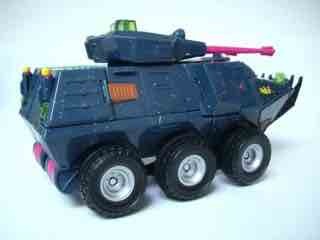 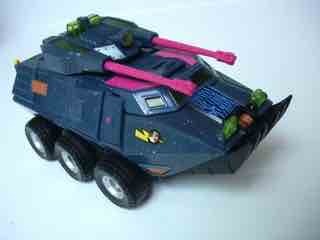 Unless you bought a ton of toys in the early 1990s, it's safe to say you don't have anything quite like this. 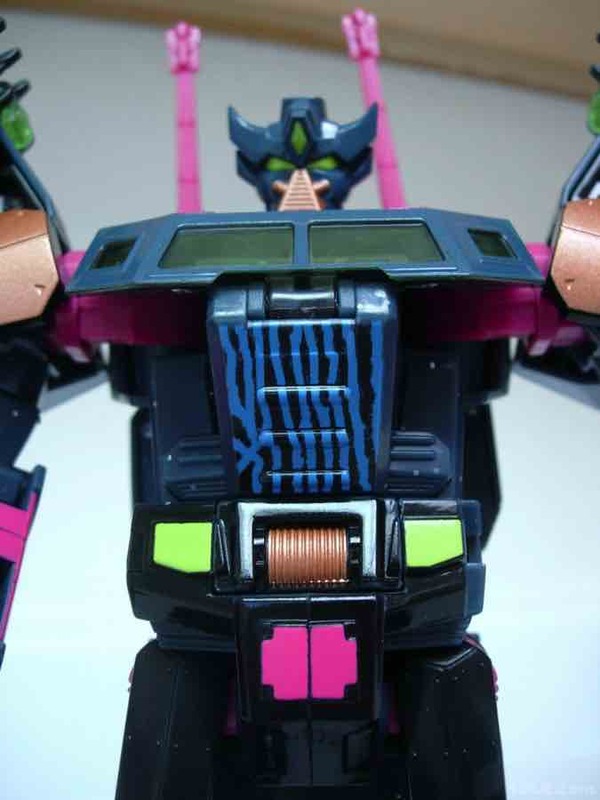 The hulking Onslaught mold was given a G2 makeover and a new head, but it seems that the Botcon people really went the extra mile on this one. While the toy's electronic features were removed, a bunch of funky tampos were added like a lightning bolt dragon thing, some arrows, and a painted garden of bright blue and black which remind me of the Blizzard logo. 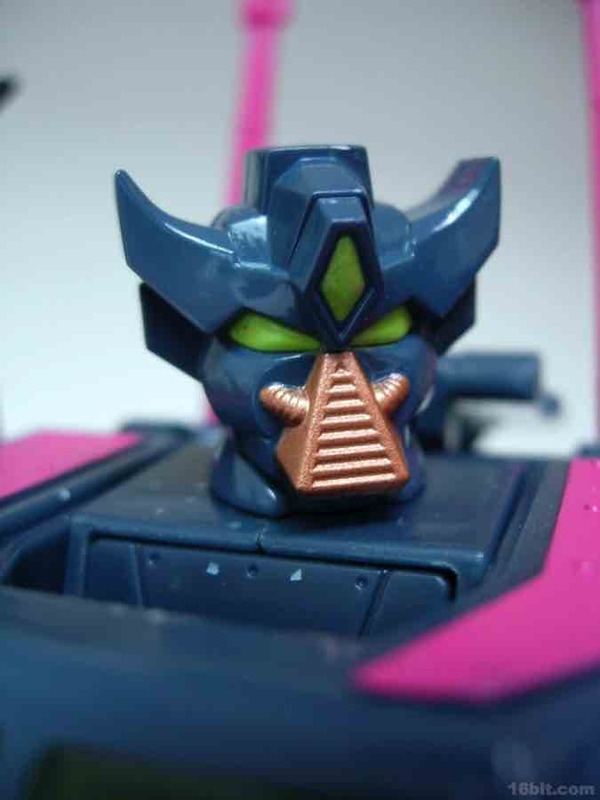 I can't not see it. 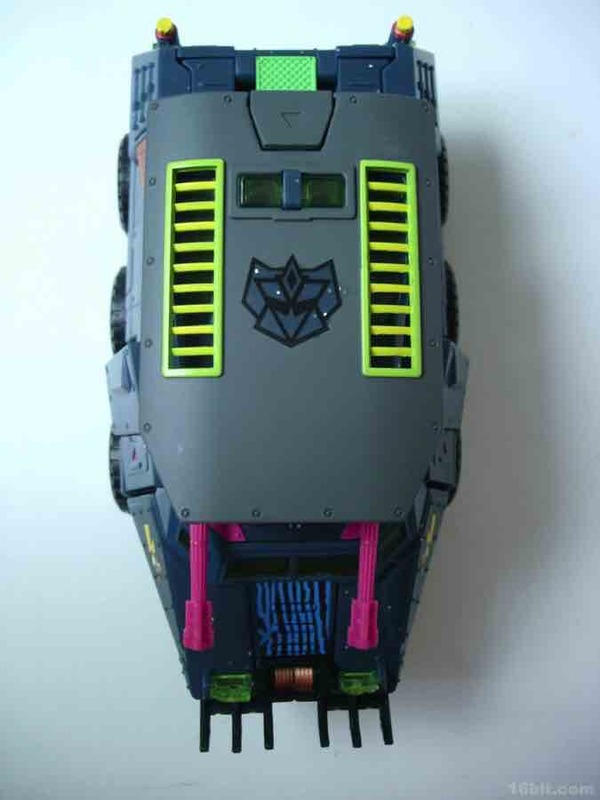 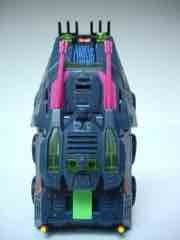 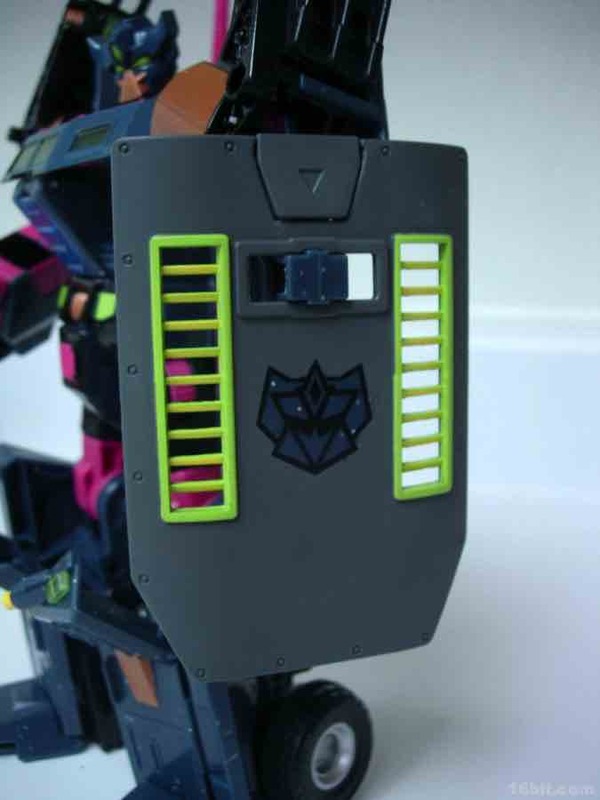 Clench's shield is covered in grey paint with a G2 sigil largely unpainted on the front, while the back is the bare extremely dark green (with sparkles) plastic that you see on the rest of the toy. 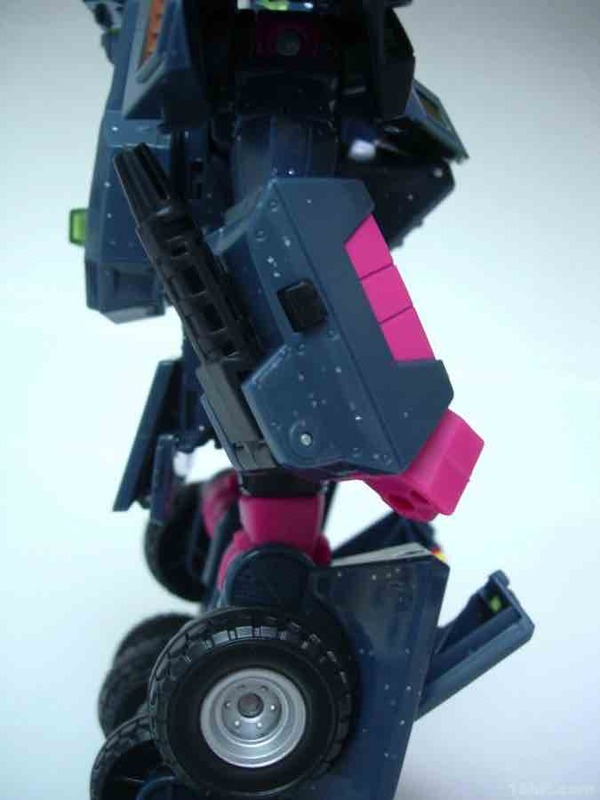 With two big guns over his shoulders, the mammoth Clench also has a wrist-mounted gun which retains the spring-loaded switch from the original releases of this mold. 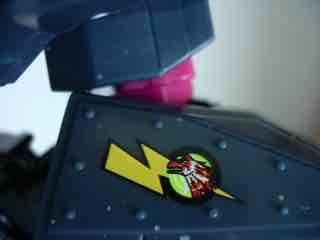 Just push it back and it snaps into place, and if you press the button it flies into action. 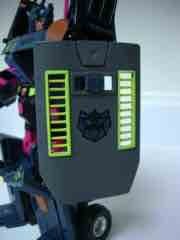 While he seems designed to hold weapons in his fists, he doesn't include any, although you can plug the shield into the back of his forearm as a defensive weapon. 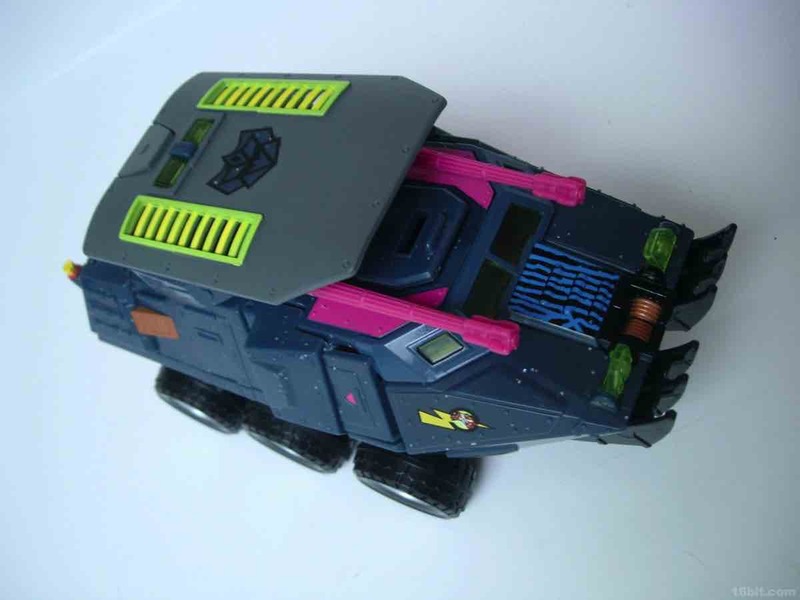 The vehicle mold has 6 rolling wheels, a rotating turret, and articulated lights on top of what is a sort of an opening grill/shovel thing in the front. 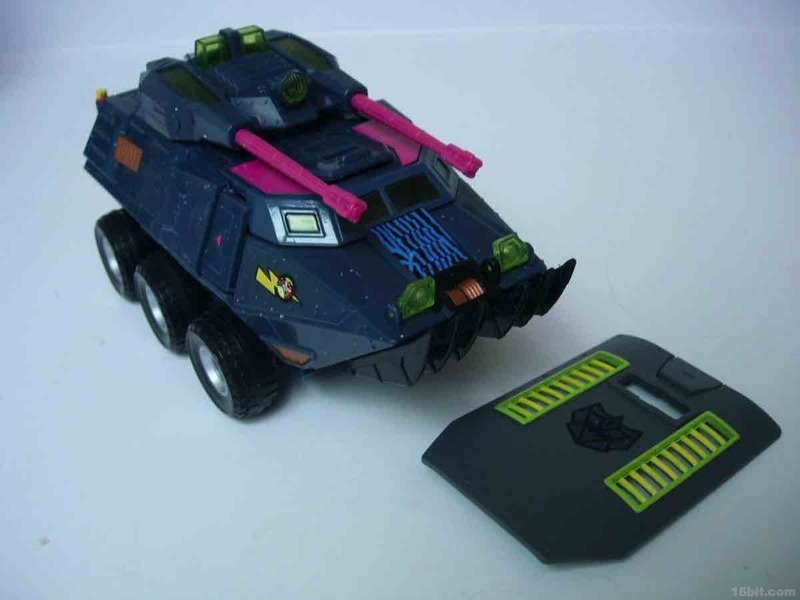 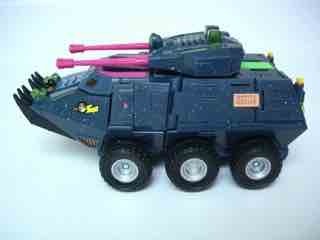 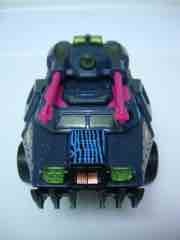 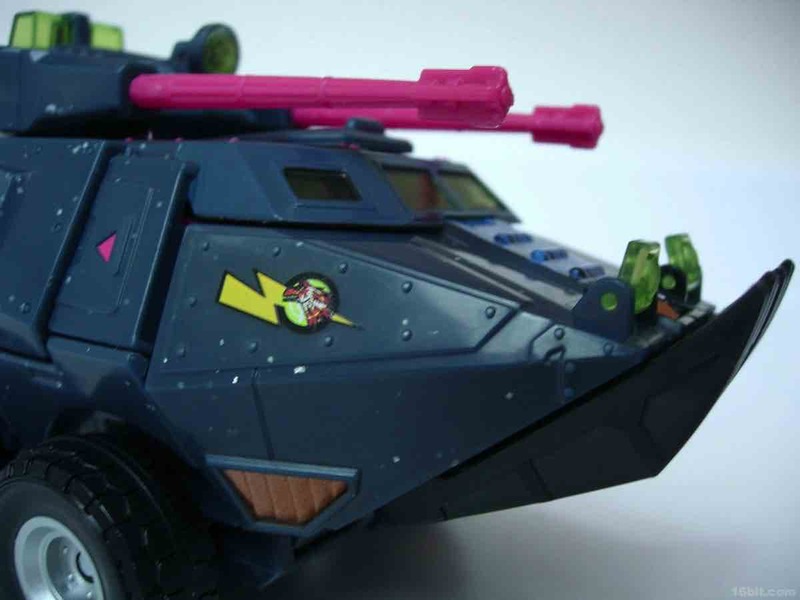 As we are not experts in war vehicles at 16bit.com, I can only say that the colors and design combine to be one of the ugliest quasi-futuristic Decepticon vehicles I've had the fortune of seeing up-close. 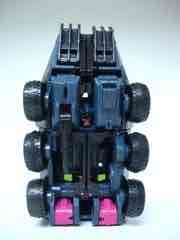 The low edition size of 1,400 sets ensures that the toy is a pretty low-run item. 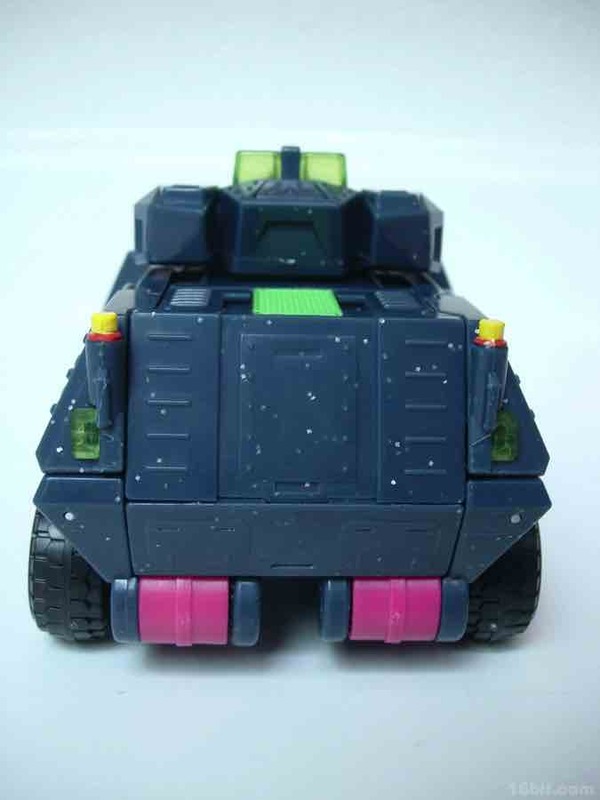 Low runs don't always mean they're worth a lot, though-- at press time it looks like the going rate is under $65 on eBay which is pretty cheap. 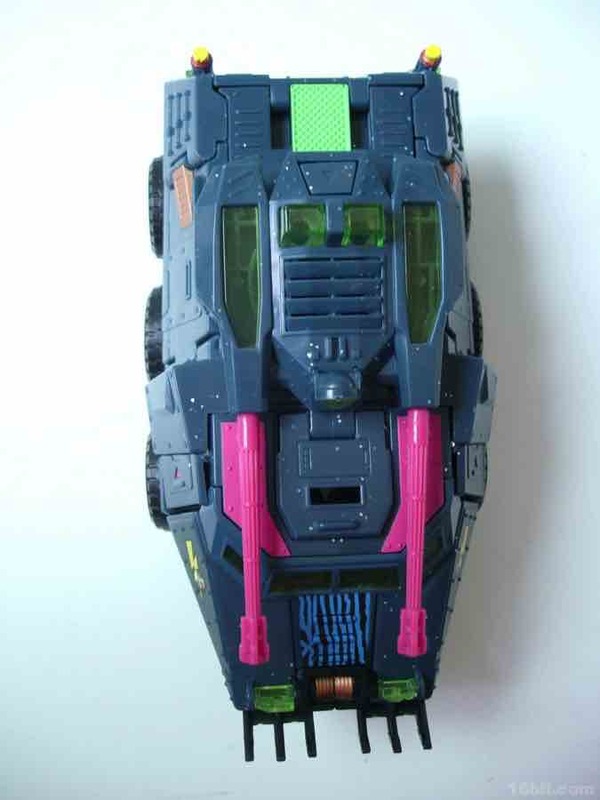 Throughout 2010, another repaint of this toy-- Hardhead-- often commanded $80 or more on the auction site, and that was a widely-distributed Wal-Mart exclusive. 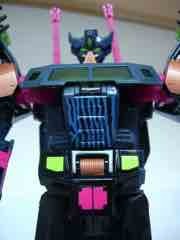 Onslaught is much cheaper, closer to $15-$20. 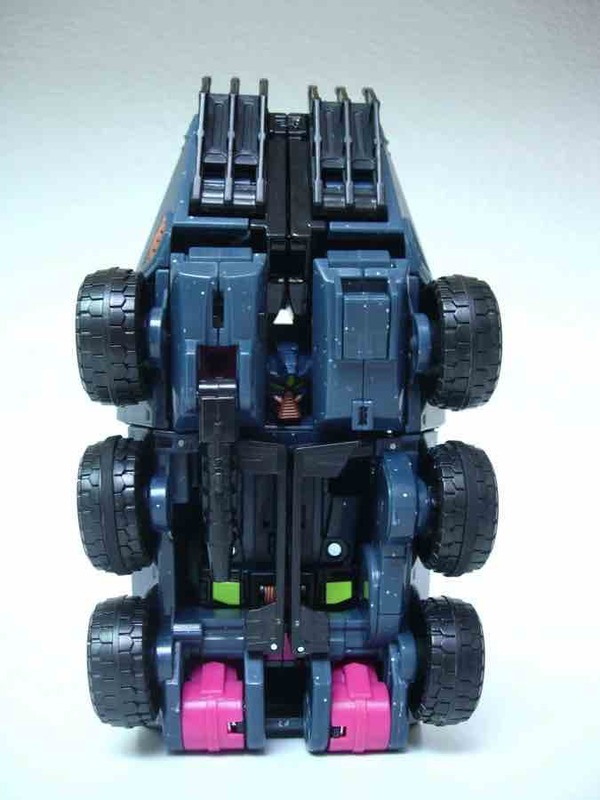 Clench is an extremely limited toy, but for whatever reason the free market has decided the considerably more common Hardhead is the one worth the premium pricing. 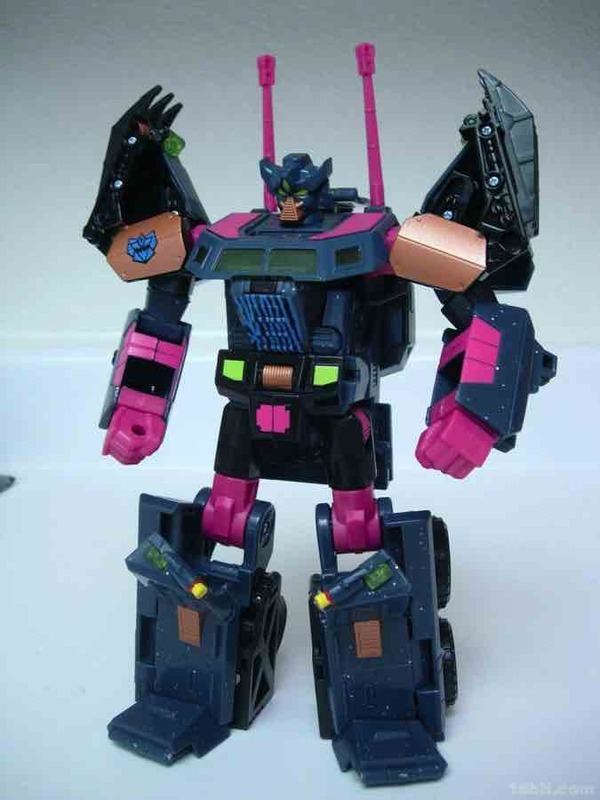 This toy is worth buying if you like his look-- he doesn't do anything more than his siblings, but you will never see a toy that looks quite like this in these colors on retail shelves. 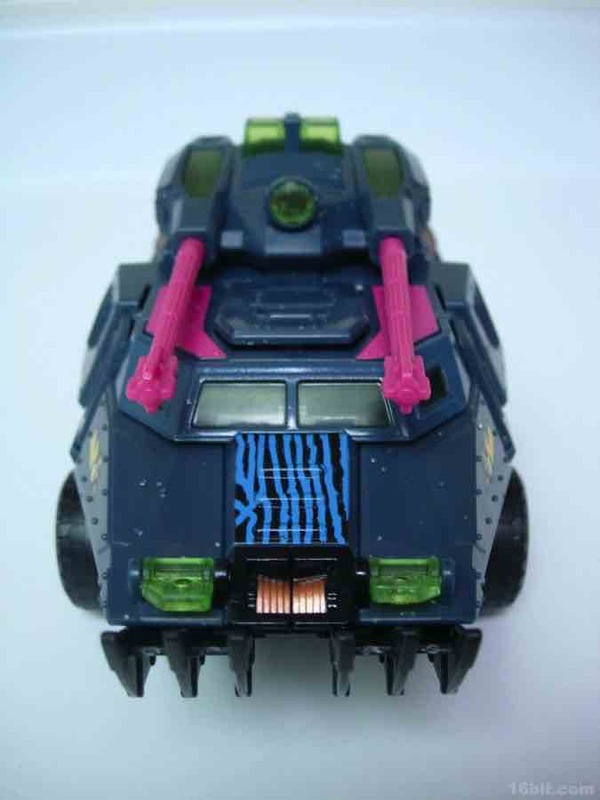 It's too gorgeous to not own, neon pinks and sparkles are generally considered out of vogue this season so you'd better pick this one up while the price is cheap. Want more "new" Generation 2? 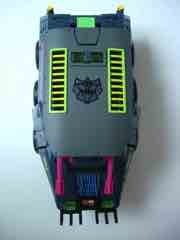 In addition to the entire original toy line and some 2010 Botcon souvenir toys, there are several others you can get. These include Wal-Mart's exclusive Skyfall (an updated Skyjack), the Transformers Universe Inferno Voyager toy, an upcoming remake of Laser Optimus Prime, and a smattering of homages spread across multiple lines over the past few years. I'd suggest starting with Skyfall and Inferno.